Collate is a verb that indicates that there are a number of items collected and put together in a proper order. It is a term used to refer to how printed content is arranged. 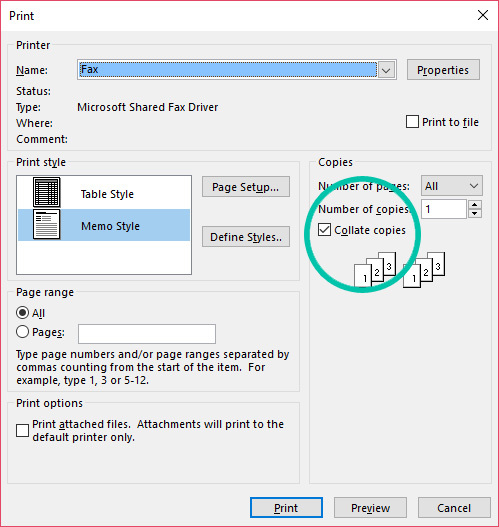 It’s actually a very useful tool to implement, especially if you are printing more than one large document that needs to be kept in the right order. In it’s basic form, the definition of collate is to collect or gather the related information together. 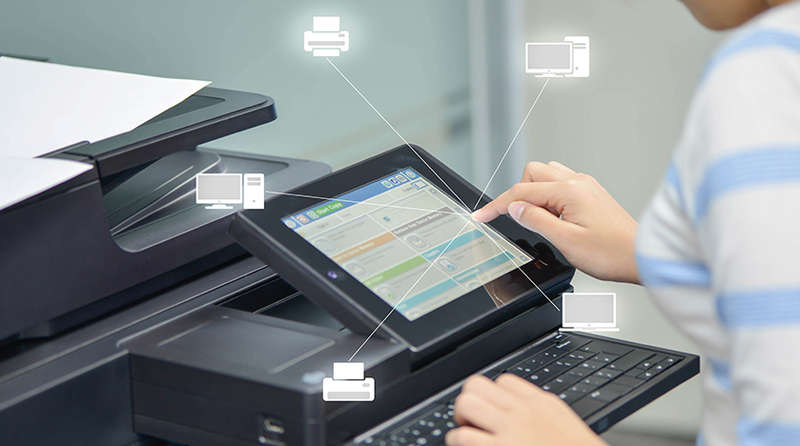 What Does Collate Mean On A Printer? Collated printing means that the printed material is sorted into a correctly assembled sequence – and if you are printing multiple copies it will then print them as sets of documents, not as single pages. It would be pretty annoying if you needed to print a document 20 times so that you can share a copy with 20 people but the printer puts all 20 page one’s into a pile, then 20 pages two’s and so on. This would mean that afterwards you would need to sort them all out into order so that you could hand them out. Collated printing would do this job for you. When a file is too big and needs to printed across several pages, collated printing will give you page after page and sheet of paper after sheet of paper, while respecting the original series of the pages in the document. Collating documents creates consistency, for example, if you have a document that is five pages long and you wanted to print multiple copies, collating enables it to print pages 1,2,3,4 and 5 in the correct order and then repeat this again if you need more than one copy. 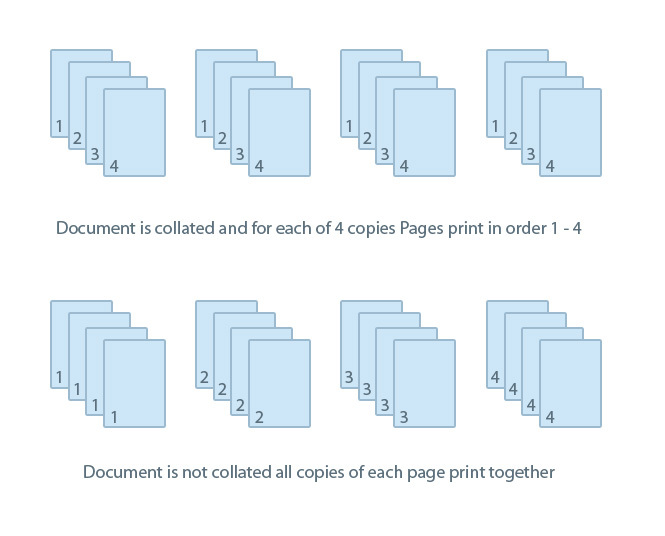 However, if the collate function is disabled and you wanted to print three copies of the same document then it would print in this order: 111, 222, 333, 444 and then 555. Collating is often enabled by default but it can be adjusted if you wish to do so, before printing. Collating before you print means less time spent once your documents are printed sorting and rearranging the paper. It saves time, hassle and improves efficiency – great for any business. 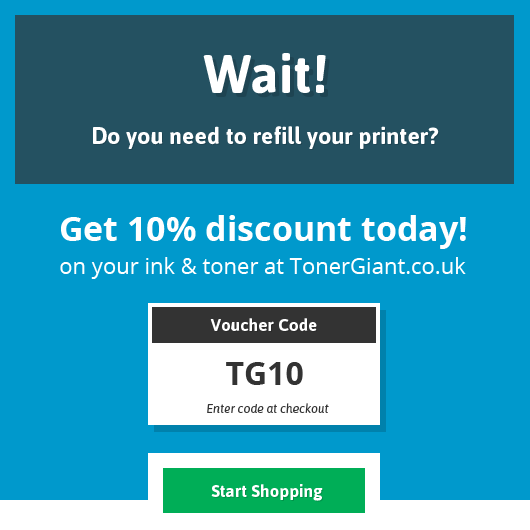 It’s a great option whether you are printing our leaflets or booklets or just printing out hefty PDF documents or guides. It also means that if you are printing out a great deal of collated documents to then hand out, say for a seminar or informative talk, they will be grouped together – which means you could even forego fastening or binding them to save even more time. This should be the same on most printers. To print collated documents, you will need to check that the option is ticked, before pressing print. It will usually be represented by a symbol featuring three pieces of paper, layered on top of one another. Select this and the printer should automatically collate your document and print it out in the right order. Offline collation is also possible and can be performed manually or automated. If pieces within your documents have similar characteristics then you should be able to collate them with automated equipment. However, if you have documents that are dissimilar such as a business card or a product catalog then this would not be a good fit for an automated collation and it would require you to collate it by hand. Try collating your printed documents and see how much easier it makes your life, you’ll never have to manually put your papers together again – the printer does all the hard work for you! Please help. I wanted to print two sides on a paper front and back. Unfortunately the printer jumps the first 5 line of the second page..
and if I take down the second page five line, the printer prints both sides. what is the problem and how I can do it properly? Hi there, if you have an inkjet printer, this can normally be caused by nozzle issues. Try to run a cleaning process and see if that fixes the issue. If that doesn’t work or you have a laser printer. It sounds like it could be a software issue. The only thing you can do is try to update the printer with the latest firmware and see if there is a fix for this issue.